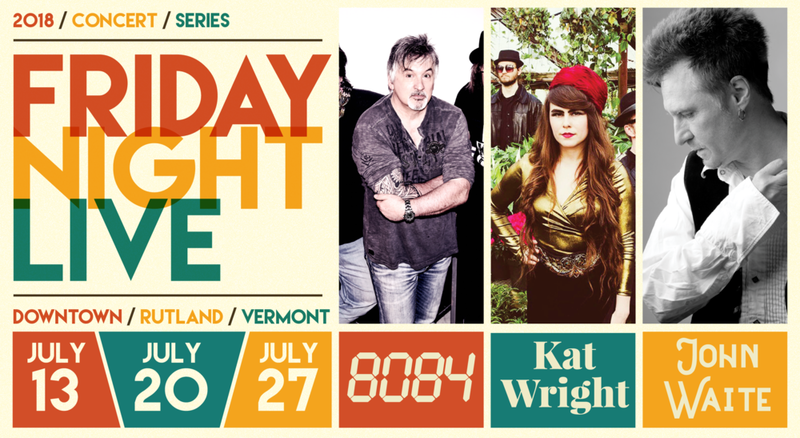 Friday Night Live is a free concert series featuring music, outdoor dining, children's activities and more. Headliners perform "Pit" parking lot, which is transformed into a unique, amphitheater-like concert venue. Merchants and vendors set up along the street in open air fashion with fun for the whole family! Hey Vendors, Apply with Us! Looking for an opportunity to get your product or consumable in front of over 1,000+ community members? You've come to the right place! With low cost vendor fees, Friday Night Live is the perfect opportunity to gain exposure. Applications are now closed for 2018. See you next year! Check out the show "My First Street He(art)" featuring artwork from street artists all over the world. New and gently used books at affordable prices from a locally-owned store. Enjoy outdoor seating with a great view of the stage. Make a smoothie with bicycle-power and learn about the importance of exercise. Find light refreshments and downtown information at the starting location for the story walk. Authentic Mexican fare such as quesadillas, tamales, and more. Soft serve ice cream, Hawaiian shaved ice, novelty bars and floats. Enjoy outdoor seating and grab an appetizer, pizza, and brews from Rutland Beer Works. Kid-friendly activities provided by a campaign for more affordable, quality child care. NYC-based mural artist Magda Love will show off her skills on Center Street. Texas-style barbecue featuring pulled pork, Brisket BBQ sandwiches, mac n' cheese and chips. Mission city church is back with a bouncy house and refreshments. Mexican fare featuring tacos, fajitas, quesadillas, burritos and more with vegan + gluten free options. Fried dough, cold drinks, hamburgers, hot dogs and fries. Watch master painter Peter Huntoon as he captures downtown imagery. New books, artisan cards, apparel and more as well as a host for several literary events including the Story Walk. Beautifully-drawn henna tattoos by a local artist. Get your picture taken in a fun background with a variety of props to commemorate your summer. Check out a pre-show of vintage vehicles on Washington Street on July 13th. Pulled pork brisket, cabot mac n cheese, and more from a Texas-based food truck. Bubbles and fun activities from a non profit that advocates for affordable child care. Book giveaway, library information, Legos, and free promotional items. The Rec will host a range of activities including pottery demos, sports demos, and live performances. Mini rugby balls and team information with a passing activity. Catch a mini-performance by the kids of Rutland Youth Theatre, hosted by the rec. Listen as Chief Kilcullen and other officers read from their favorite books at 6pm at Phoenix Books. Walk downtown and read a children's book in the windows of storefronts and at booths. Complete the story and be entered to win a gift card from Phoenix Books! Catch local acoustic music from Nikki Adams on July 13th, and Jenny Porter on July 20th. Bring a blanket and your favorite Teddy to Phoenix Books for a special picnic. Hard and soft candies and local confections. Craft lemonades from a drink truck. Tees from the "Ridiculous Optimism for Rutland" campaign - a cheerful slogan promoting positivity in Rutland County. Make crafts on July 13th, participate in a carnival on July 20th, and play with water on July 27th. Museum admission is free during FNL!